Mother's Day is just around the corner. Somehow, it approached way faster than I anticipated! This past weekend, I ordered supplies from Etsy to make some fun jewelry for my mom. Except, my timing is awful and my supplies probably won't get here on time. I thought I had a couple weeks! So wrong. I need some plan B ideas, so of course I went into pinterest to see what I can find! My mom is definitely one of kind gal. She likes fun and unique items so nothing normal or too mom-ish! So some DIYed seems right up her alley, and I am totally on board with that! 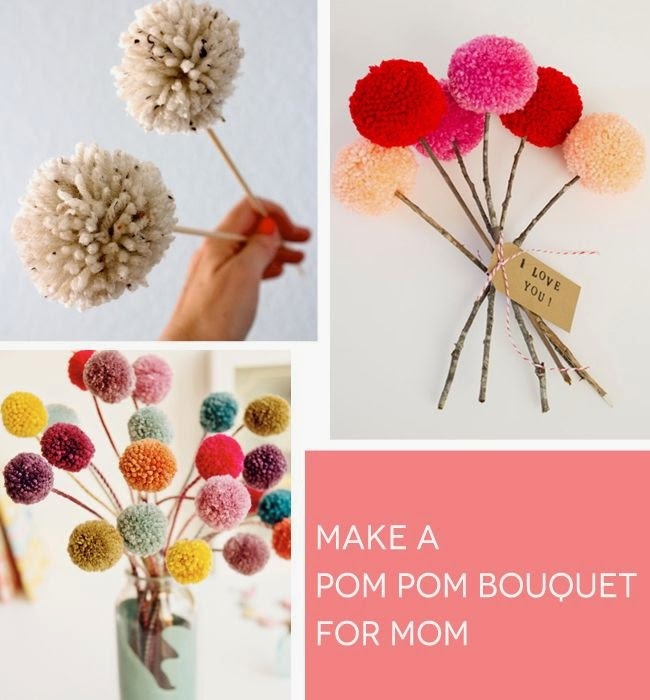 This pom pom bouquet is so pretty and my mom would love it. Perfect piece to add this to a gift. My mom is the queen of funky jewelry. 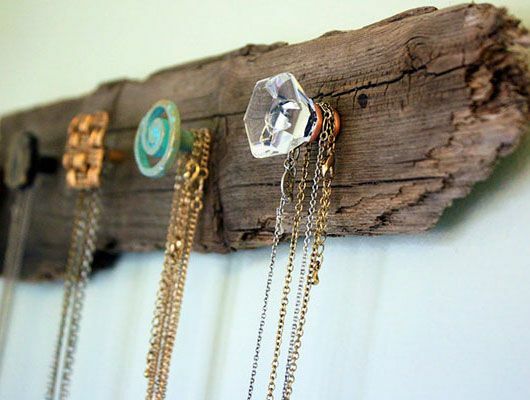 This necklace holder is perfect way to display her stuff! 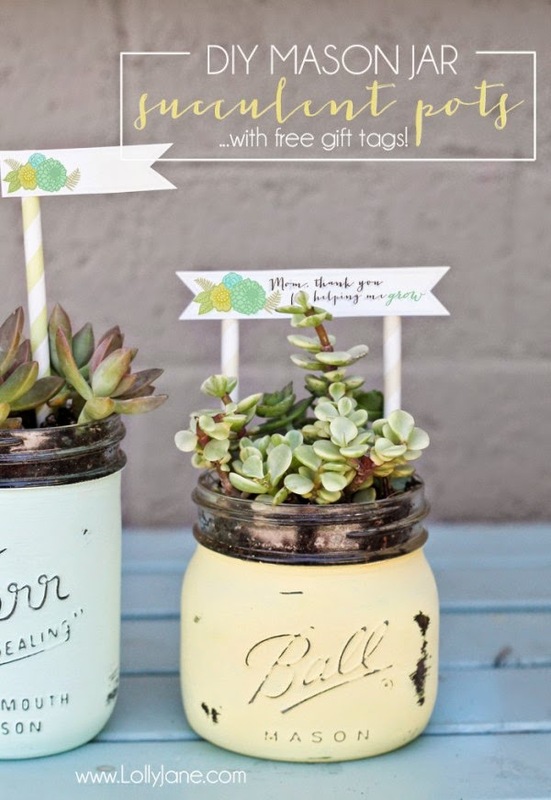 I want to make these mason jar succulent pots just because. And I know my mom would looove this! These unique fabric frames are perfect for mom. Nothing too cheesy, but still can add pictured of the family or grandkids. My mom is a sucker for those! 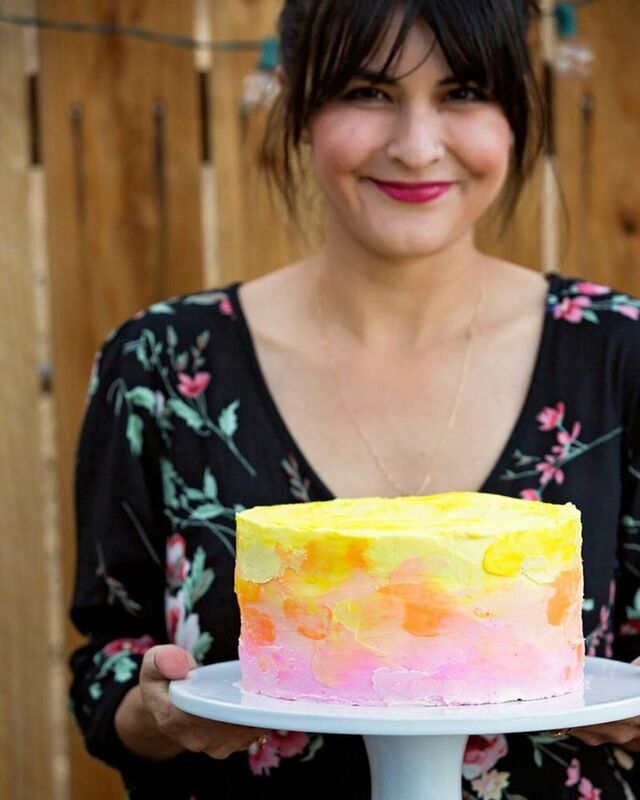 You can even order instagram picture to make them a little more fun! I love this mom floral sign. My mom would want to keep this up all year! It's just so bright and makes me so happy! Hello There,The Pom-Pom "flower" bouquet might be orchestrated in any capacity.You can tie a bow with a bit of strip or yarn around it with a little card appended or you can put it in a little glass container or jug.You can do it in a little glass relish container with wrapping paper stuck around the center and yarn tied around the top, I likewise put some pretty leaves inside from a tree.You can also do it in a little glass sauce flask with the leaves at the bottom.You can doubtlessly play around with how you orchestrate it and it is certain to look lovely.This DIY will make the ideal sweet mother's day blessing, or springtime home ornamentation.Best wishes.